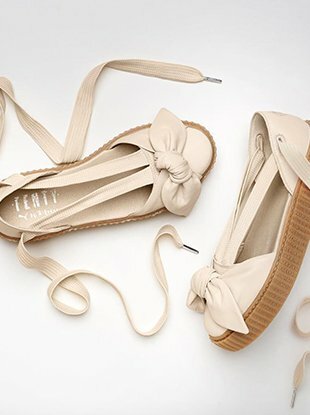 The Bow Creeper Sandal is now available on Puma.com. Waterproof pool slides for summer? Revolutionary. Set your alarms for March 9, 10 a.m. EST. For her Puma creeper, natch. 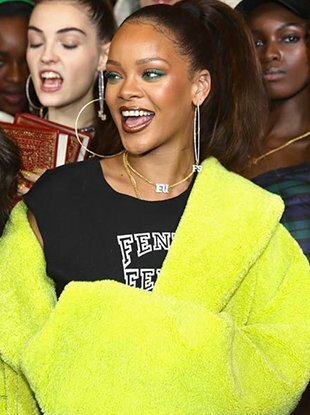 PSA: Lip rings are apparently in. 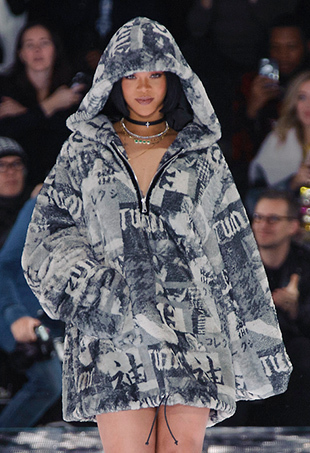 See all the Fenty x Puma by Rihanna Fall 2016 looks from the runway.